The number one goal on each barb wire fence construction job is to understand and accommodate the needs of the animals, facilities and ranch owners. All fabrication, construction, and installation of braces, gates and barb wire fence are done on-site. Barbed wire fences over all is a good all around and inexpensive security and cattle fencing solution, no matter if your trying to keep people or animals - In or Out of an area. Installing and building barbed wire fences can be a time-consuming task. Fortunately, J. 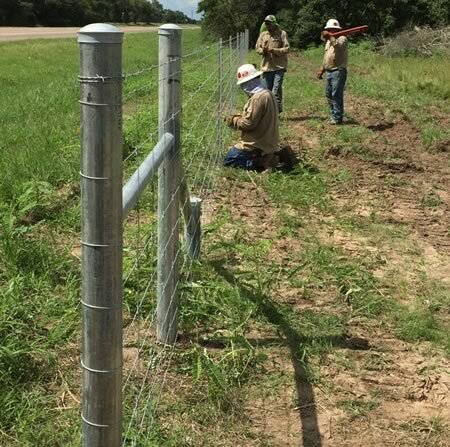 Mark Threadgill and Company has many years of experience working with barbed wire fences. Contact them today for a free price quote on your next barb wire fence project.